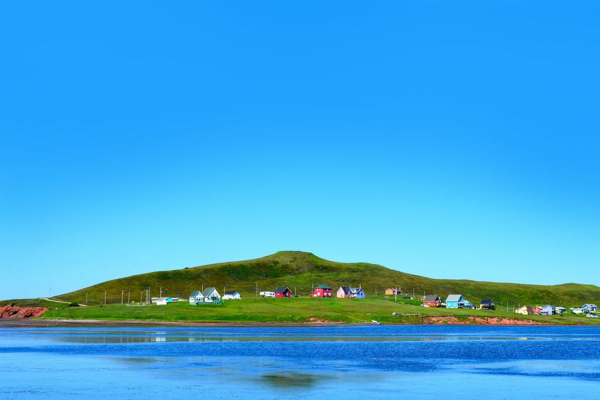 *Editor’s note: Many thanks to our friends at Destination Quebec for helping support Stephanie Arsenault’s recent trip to the Magdalen Islands (a.k.a. The Maggies). If you missed Part One of our coverage, be sure to check it out here. “I have family out east and I’m part Acadian. 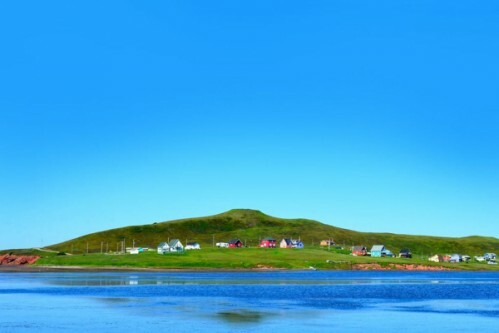 So the Magdalen Islands have always been a place I’ve needed to visit. Now that I’ve been, I can tell you this little archipelago exceeded my expectations. The scenery, the geology, the food (oh, the food!) and, of course, the people. The whole experience was beyond lovely. 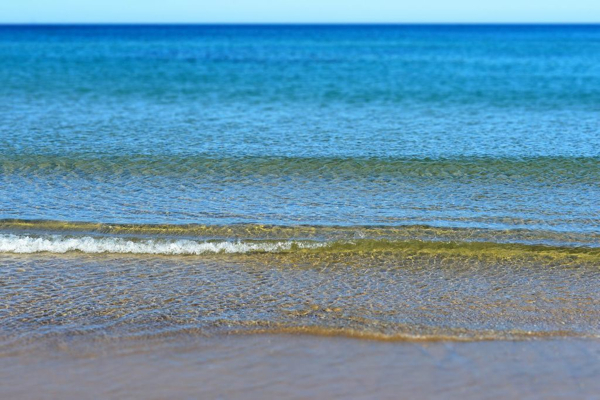 “The beaches seemed more fitted to an island somewhere in the Caribbean and the French aspect was completely different from what you’d find in other parts of Quebec and in the Maritimes. The whole place was begging to be captured with a lens. Brightly painted homes on the islands make for beautiful bursts of colour on a widely green landscape. It’s thought that the modest houses were originally painted the same colour as fishermen’s boats, to serve as a point of reference when out at sea. Other Madelinots insist the practice originated as a sign of prosperity. Today, the houses are as bright and beautiful as ever – having become the norm in the region. Nearly as coveted as the lobster, the Snow Crab (or as the Madelinots often call it, the Queen Crab) is a large part of Magdalen cuisine. The season begins right after the winter ice begins to thaw, typically between April and May. Fishermen bait up the traps and lower them way down to the muddy ocean floor where they sit, poised for their catch, for one to two days. The orchard at Le Verger Pomeloi looks like something out of a storybook. There are over 500 apple trees, and more than 20 varieties. 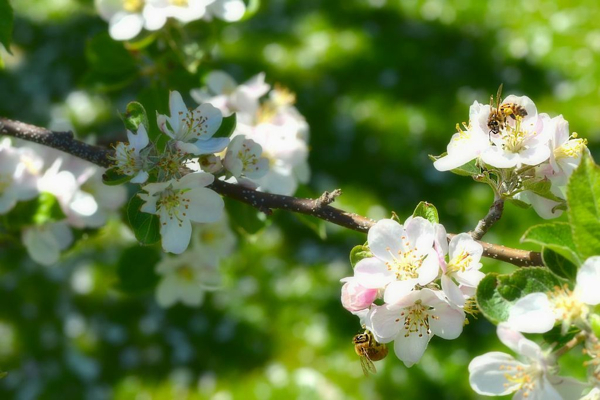 Most of the trees produce fruit used to make cider, but some exist simply for the purpose of cross-pollination – a practice made evident by the loud humming of thousands of bees throughout the orchard. It’s impossible to explore the Magdalen Islands without stumbling upon a series of sand dunes. Dunes make up about 30 per cent of the archipelago’s total land mass and they’re covered in beach grass. The grass helps preserve their shape while protecting the islands from wind erosion – making way for stunning beaches. 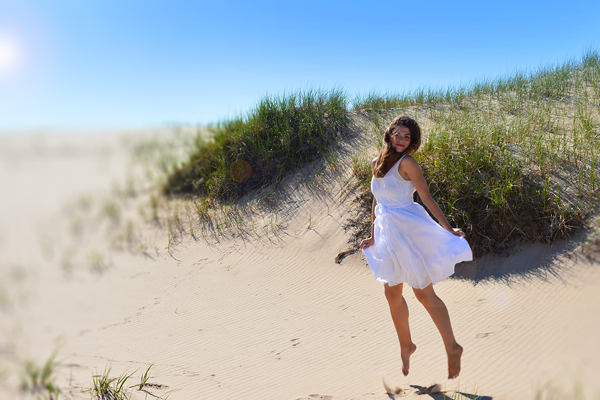 These white sand dunes are also the perfect place to frolic. You know, if you’re into that sort of thing. 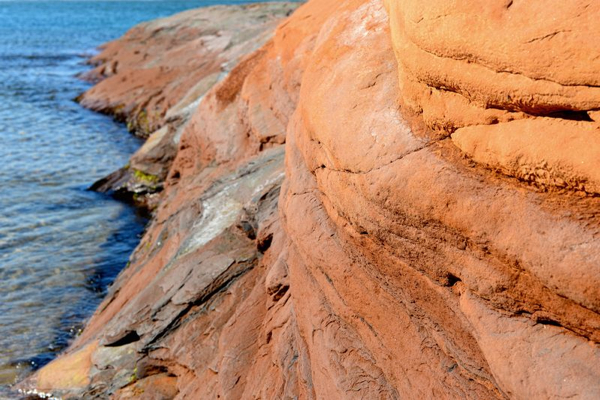 Cliffs around the Magdalen Islands are made of a deep burnt orange-coloured sand and mudstone. The hue is due to a high concentration of iron oxides in the rock and soil – creating a breathtaking contrast to the brilliant green grass atop neighbouring cliffs and exquisite aquamarine waters below. In La Grave at Vent du Large – a spacious yet quaint tapas bar that serves a variety of small plates with a Madelinot twist – it’s the music that brings in the crowds. Local artists, like Claude Cormier (left) are regularly slated to perform and restaurant co-owner, Francois Guay (right) is always eager to join in the fun. 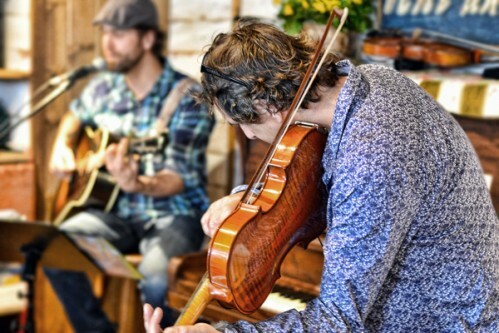 If patrons are musically inclined, Francois and his wife, Isabelle, encourage them to make use of the instruments displayed throughout the restaurant. The smoked herring at Le Fumeur d’Antan in Havre-aux-Maisons is a testament to the perseverance of the people of the Magdalen Islands. 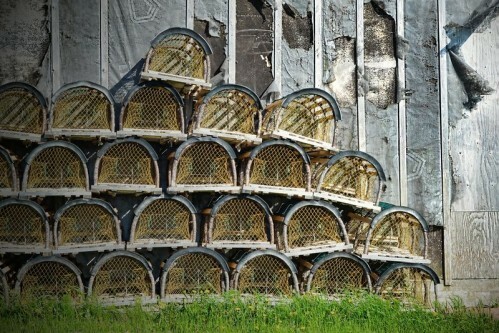 A flourishing industry for more than a century, most of the smoking facilities shut down in the 1970s when stock all but disappeared from over-fishing. 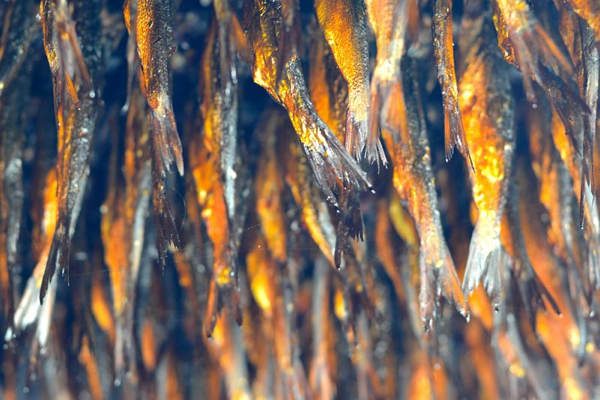 In 1996, after the herring population returned, the Arseneau family re-opened Le Fumoir D’Antan where, to this day, they smoke herring using traditional methods. 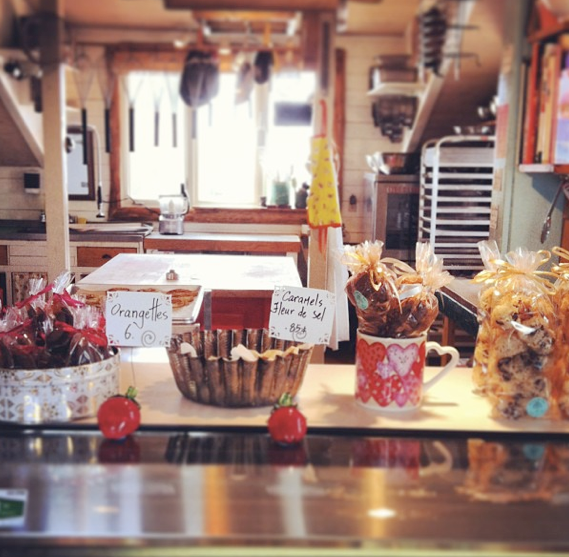 The treats at Helene Des Iles Patisserie in Havre-Aux-Maisons are more fitted to a chic French city than a seaside road in Eastern Canada. Sea salt caramels and coconut macaroons accompany homemade pies and cookies. A word of caution, though. A visit to this patisserie may result in difficult decision-making and a “one of each s’il vous plait” attitude may be adopted. Nearly all of the beaches on this gorgeous archipelago are the picture of perfection. The soft, white sand and deliciously clear turquoise waters conjure up images of the Caribbean. In August and September, the surrounding Atlantic ocean warms up significantly making these islands the perfect destination for sun-seeking, water-loving beach bums. Lobster is a staple of Madelinot cuisine, and can be found at nearly any restaurant or market on the islands. 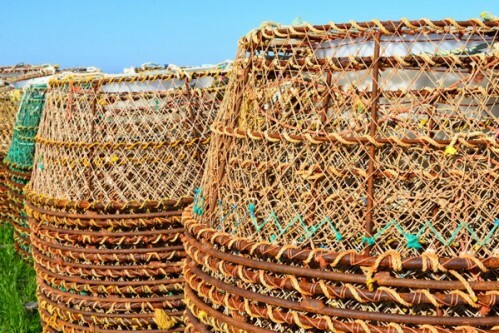 The practice of lobster fishing is strictly regulated, with a set number of licenses issued per year. 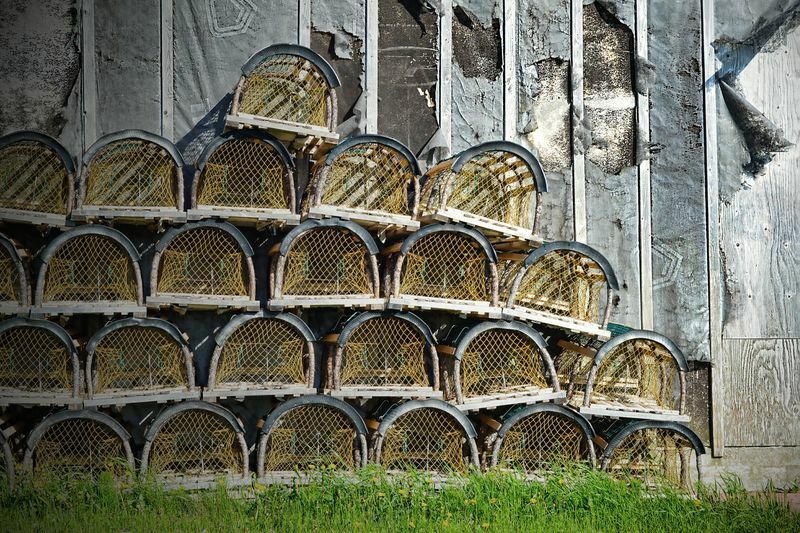 When it’s not lobster season, empty traps are stacked against houses, on top of holding racks or simply left on the ground – patiently waiting for the next season to arrive. The entire landscape of the Magdalen Islands is a nature geek’s paradise. Rugged hills are blanketed in hardy plants designed to survive cold winter winds. Mineral-laden rocks transform into soft sand along the coastline. 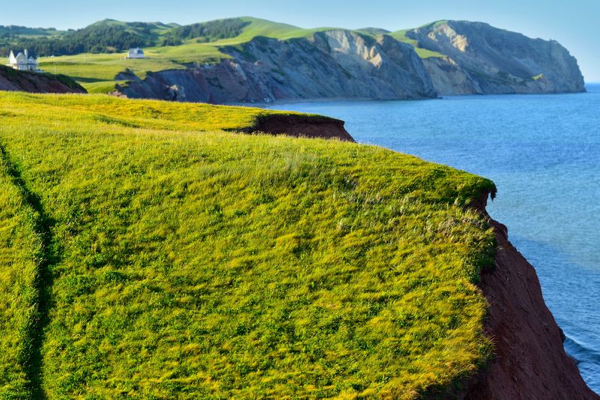 These rolling green highlands on the southern side of Isle du Havre aux Maisons are, hands down, one of the region’s most stunning attractions. *Note to readers: Our writer travelled courtesy of Destination Quebec. The agency did not review or approve the article before publication. Simply gorgeous photos and now I have yet another place in Canada that I must visit. Thank you for sharing! Gorgeous! Nothing rounds out a story like rich, evocative photography. Very nice. Well now, I can’t begin to tell you how much I’ve enjoyed reading about the Magdalen Islands, a part of Canada I knew so little about. Part 1 listed ten uniquely “Madelinot experiences” – if you haven’t already done so be sure and click onto the many hotlinks for more of what the islands have to offer. Part 2 includes more to see and do along with some phenomenal photographs – I’m particularly drawn to the lobster and crab traps, so beautiful in their structure and arrangement. I love the way the sea is sandwiched between slivers of beach and sky. Stephanie pays particular attention to composition and color – brilliant greens next to cerulean blue sea, for example. Thank you for making this visit so rich and inviting in so many ways!